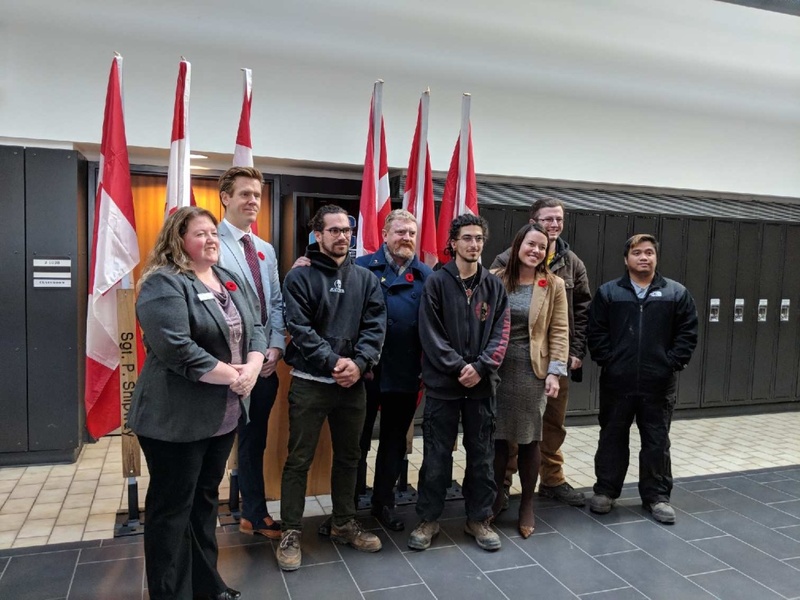 More than 160 flag poles commemorating Canadian soldiers killed in Afghanistan have been refurbished thanks to a community partnership between the Royal Canadian Legion, the College of New Caledonia (CNC) and the Independent Contractors and Business Association (ICBA). The flags were first created by the family of Cpl. Darren Fitzpatrick a few years back, but were in need of a refreshment due to the area they were stored in, according to the Royal Canadian Legion Operational Stress Injury Special Section representative for British Columbia and Yukon Joe Elliott. “It’s a fantastic job they’ve done,” he said. “The poles have been replaced with aluminum. Trade students and instructors at CNC have been busy applying their skills to the refurbishment of these poles. CNC is made stronger through robust partnerships community partnership, according to CNC Vice President Finance and Corporate Services, Tara Szerencsi. Learning experiences such as these go well beyond the text books, she said. “Every time these flags fly, students can take pride knowing they lent a hand crafting this legacy project,” Szerencsi said. These projects also don’t get off the ground without financial support, she added. With the encouragement of Prince George-Valemount MLA Shirley Bond, ICBA rallied funds to be a part of this significant project, according to ICBA Regional Vice President Mike Davis. In just two short years, ICBA has developed great relationships with CNC that he said he hopes continue on. 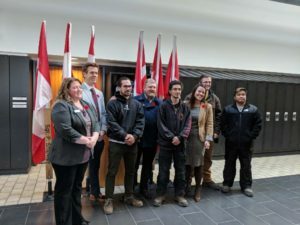 “This is one of the most unique projects we have been a part of in the region and we are extremely proud of our partnership with CNC,” Davis said. Attached to each pole is a wooden plaque commemorating the name and rank of a soldier. Flags flying for British Columbia’s fallen soldiers, including Cpl. Fitzpatrick, will feature a special red base. All 160 flags will line the parade route on Remembrance Day. “This will be a beautiful tribute to our fallen,” Elliott said.